We appreciate all our friends, family & clients! 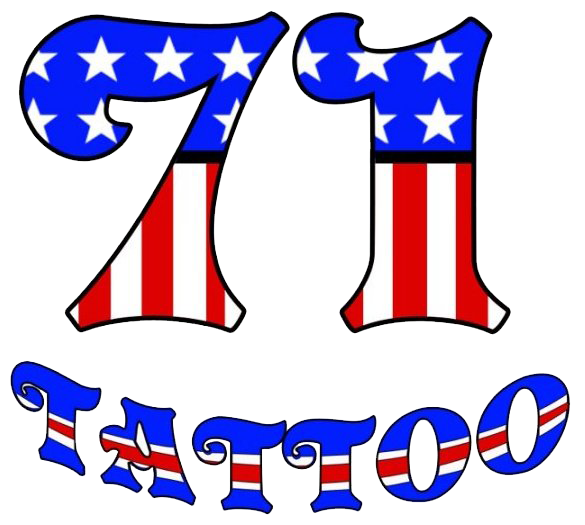 71 Tattoo was founded in August of 2006. 71 Tattoo prides itself on customer service, and encourages custom work, we do not steer clients toward acres of regurgitated flash, we work with a client to design something they’ll be happy with years down the road. We provide awesome, custom tattoo work, and artwork, done for a reasonable cost, with a friendly attitude. Come see us!